Moved from deemed unIDable by Dr.Pinto. This is a rather atypical blister beetle, Nemognatha sp. In this genus, the mouthparts are formed into a very long "tongue" for nectar feeding. 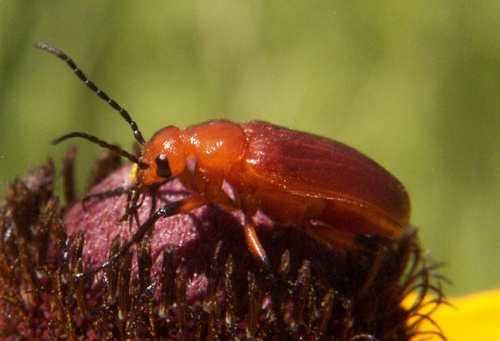 They are common in the arid west, and are probably pretty common in prairie habitats as well. Thanks, Eric. I could not figure out what that was - it looked like a third antennae.